Touch to the Balinese people’s life in the energetic big market If you go to Denpasar, you should visit the market! 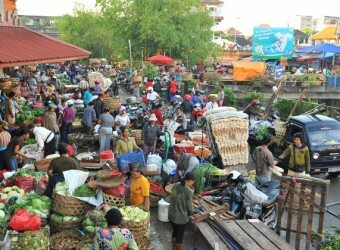 Pasar Badung is the big scale of market in Bali; there is always busy with many people and lively atmosphere. There are guides who call themselves as guides and bring tourists in the market, then they ask money at the end, so please be careful. I went to Pasar Badung and Pasar Ubud, the two of famous markets in Bali. I could feel the market as the power of the ordinary people.